While Tissot’s designs are generally more traditional (aka dressier), Hamilton has a corner on the casual, sport/pilot style watches. 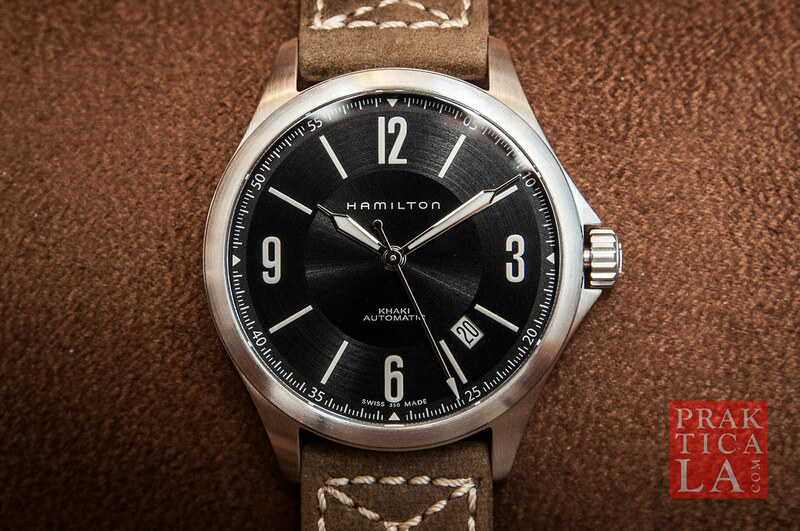 One of Hamilton’s most popular lines is the Khaki Aviation. It’s clean, uncomplicated, and relatively inexpensive. 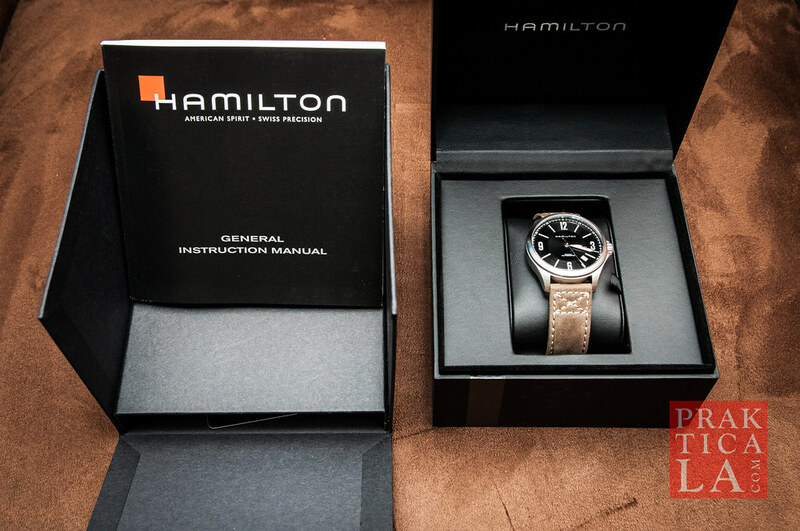 The Hamilton Khaki Aviation watch comes in all kinds of sizes, colors, movements, and subdesigns. The one I got, model H76565835, has an automatic movement, brushed steel case, black dial, and very casual-looking tan leather band. 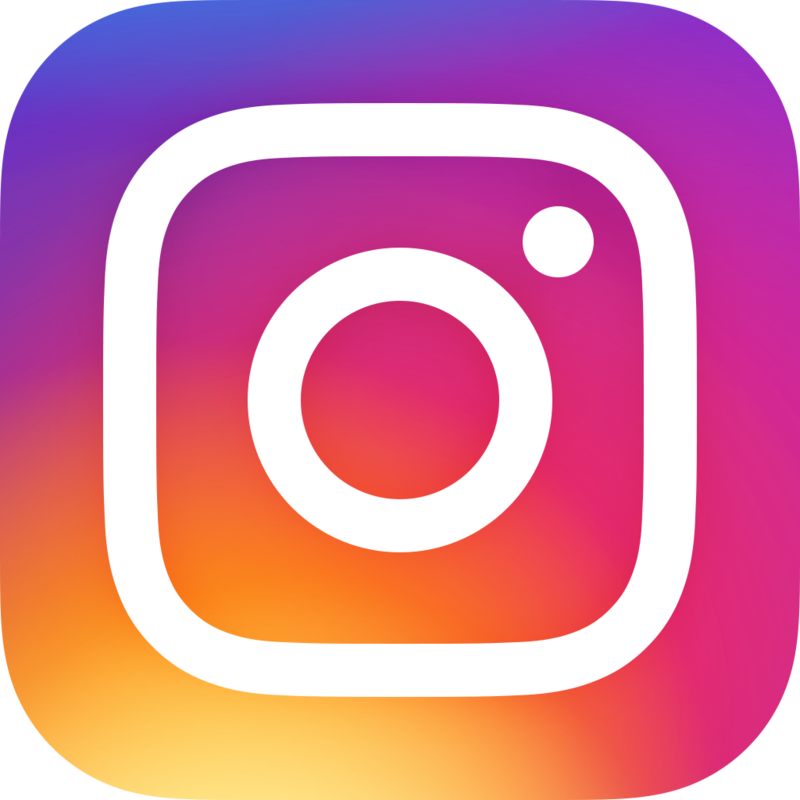 You can also get it in a less expensive, battery-powered quartz movement, but if you’re going to make an investment in a Swiss watch, you might as well go the whole hog and take some pride in an automatic. 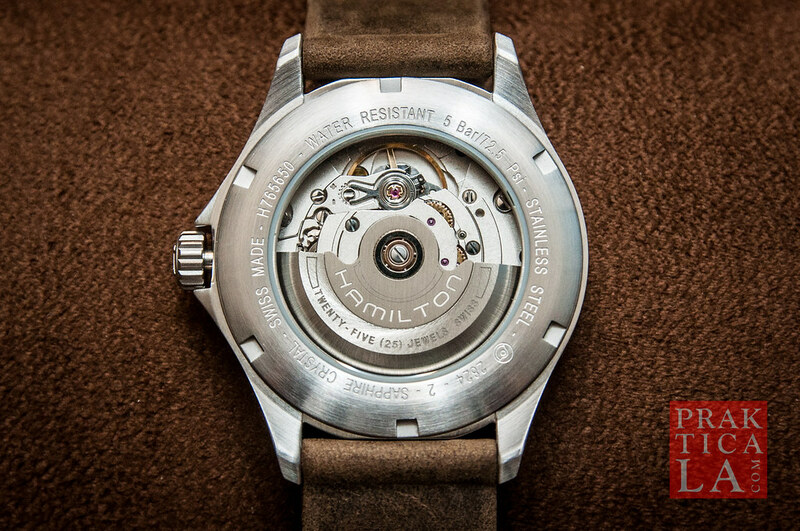 Like many other automatic watches, the automatic Khaki Aviation watch has a clear sapphire caseback so you can see the gears inside, hard at work. The watch winds on its own using the natural movements of your arm, but can also be manually wound by turning the crown clockwise – useful if you rotate through a few watches in your inventory that all need to be charged. Even though Hamilton is one of Switzerland’s “budget” brand names, their watches still display the precision and accuracy associated with Swiss timepieces. 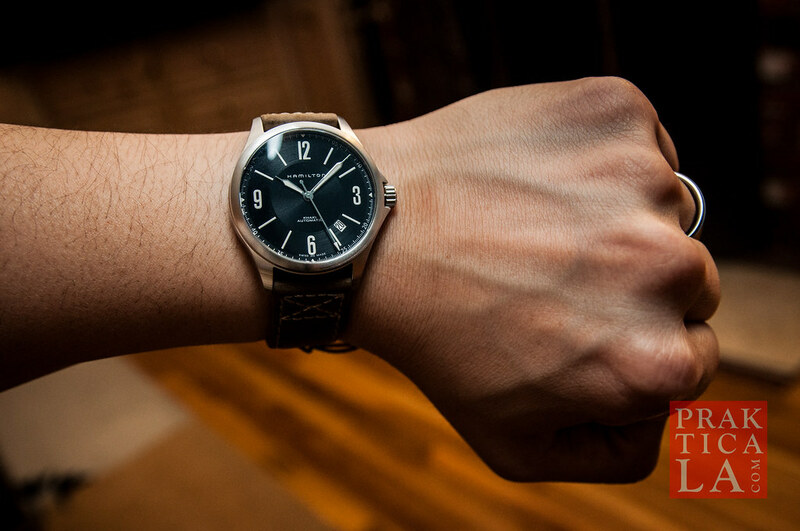 The case appears carefully machined, and the dial features a cool brushed texture as well. The date is set at an angle, between the 4 and 5 o’clock positions,.To complete the unusual, casual look, the strap is contrast-stitched with heavy thread and the clasp is double pinned, giving an almost steampunk vibe. The case on the H76565835 is a comfortable 38mm and fairly low-profile, making it relatively lightweight and compact for an automatic watch. It’s great for wearing on the weekends, and makes a statement without being gaudy or cumbersome – exactly how a budget-conscious layperson should carry himself (or herself). You can, however, get other color combinations and sizes. 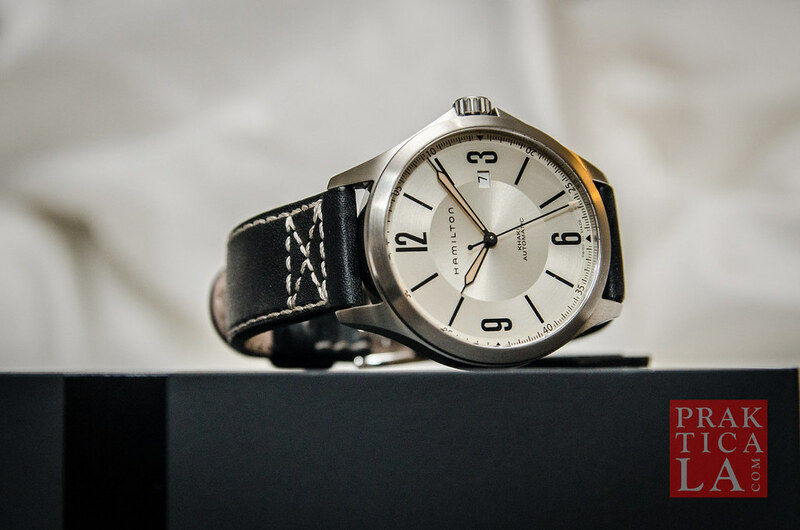 For example, the H76665725 has a champagne dial, black strap, and a standard 42mm case. Super slick. Note the date at the standard 3 o’clock position. 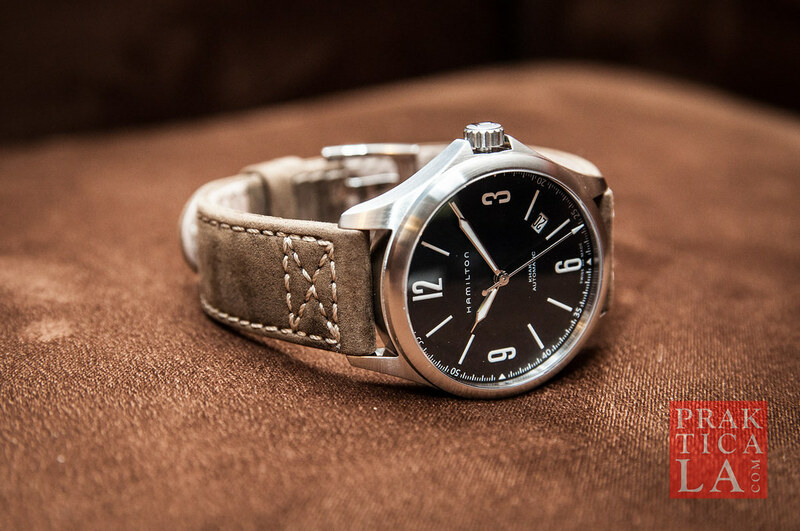 For those looking for a budget-priced Swiss watch with modern styling, definitely take a look at a Hamilton Khaki Aviation watch. Its popularity reflects its good reputation, and for the price it’s an easy way to get started in Swiss watchery. You can get the H76565835 at Ashford here. Or, here’s another option (shown earlier and below). 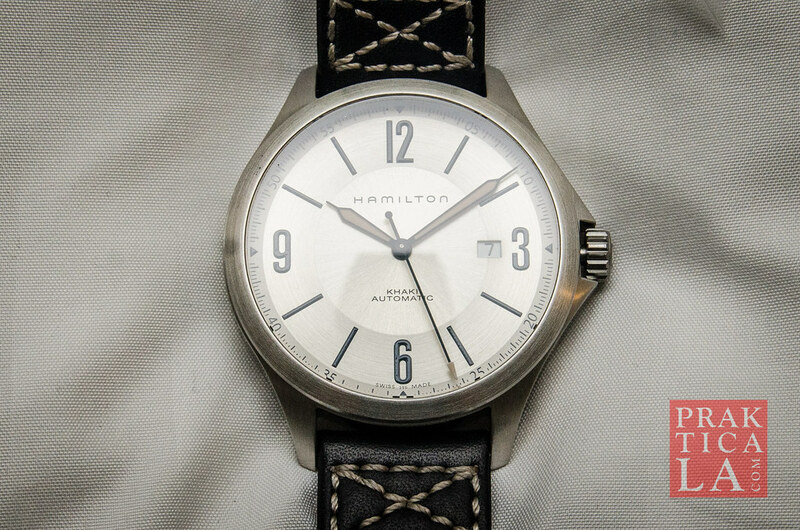 I’ve also reviewed the Hamilton Khaki Navy Sub automatic watch here. 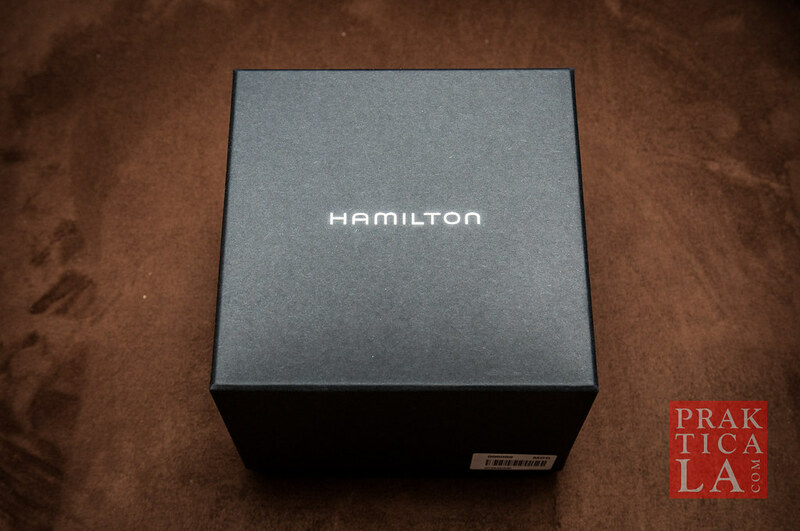 Hamilton owners – how do you like your timepiece? Let us know in the comments! Great review! Your pictures and video have convinced me this is my next watch (after I return my current Hamilton Scuba that’s in the mail!). Think I’m sold on the 38mm version, but I’m really torn between the black and white dials; they both look fantastic. Regardless, think I’ll have to add a Horween leather strap. It’s a tough choice, Lucas. Let us know which one you decide on!